I feel sorry for the orange--what a bummer to be one of the few words that rhymes with nothing else. On the flip side, it describes a lovely color and is the name of a fabulous fruit, so I guess it has a few things going for it. We've been inundated with recipes combining chocolate with raspberries and cherries. There's the occasional pairing of chocolate and blueberries, pears, or apples. Bananas and strawberries bathe in the stuff on a regular basis. Where does that leave the orange (or, for that matter, other citrus fruits? )(or, dare I say it, melons?)? The only time I've ever seen chocolate mate with orange is in a truffle from a box of chocolates, and those are always my least favorite. Sad but true. And hey--exciting news for Julie of Mommie Cooks! She won the Blog2Print giveaway. Preheat oven to 400F. Spray a muffin tin or mini loaf pan with cooking spray and set aside. Whisk together the orange juice, egg, and oil. Combine the dry ingredients together in a separate bowl, then add all at once to orange mixture. Stir to combine. Fill the prepared molds about 3/4 full and bake 20 minutes for muffins and around 30 minutes for mini loaves. Remove from the oven and let stand in tin for 5 minutes before attempting to remove. Those lonely orange truffles (we call them orange creams) in your chocolates box would be the first to go here- they're hubby's favorites. He'll love this recipe! Thanks! My dearly beloved gobbles the orange creams, too. And I often pair orange with cranberry in quick breads and muffins! I do love oranges, regardless of their rhyming inabilities! A droolworthy combination! Orange give such a fabulous dimension to baked goods! One4 of my favourite things are those chocolate oranges from Terry's that you get in your sticking at Christmas. For me it is THE combination. Chocolate and orange are one of my fave combos, especially if it includes the citrus rind. There's just something so wonderful about that sweet-bitter rind that is sublime with earthy, dark chocolate. Orange and choc is awesome! There's a bar called Terry's and they are in the shape of an orange and you smash it on the table and all of the chocolate orange segments separate - loved it as a kid. And maybe orange / porridge? Close enough to rhyming? Cute recipe name :) And your loaves look lovely - I always enjoy the chocolate/orange combo too! One...I am trying desparately to come up with a word that rhymes with orange, and two...I have always, always loved the chocolate orange combination. Ah the plight of the orange. How tragic! You definitely revved it up with this cake though! delicious. Chocolate and orange is a magnificent flavour combo. Whoever came up with that should go down int he guiness book of world records. Yummy! That loaf looks so good! Sadly for orange, not everyone is enamoured by the chocolate + orange combo either (what's wrong with some people!?). I quite like orange with certain spices, eg. cardamom and cinnamon. Or rhubarb and orange also comes to mind. I believe that's a delicious combination! I have a chocolate cake recipe that includes a clementine, boiled whole till it's soft and blended. It is utterly delicious, and your recipe looks like the next one to be added to my chocolate-orange repertoire! Really?? I won? Woohoo!! Thank you so much Grace, I'm absolutely stoked!!!! This bread looks so good! I love chocolate paired with just about anything and your beautiful pictures make it too good to resist! Thanks again! I can't wait to check out the book!!! Chocolate and watermelon ... great point. There has to be some sort of recipe out there. Reminds me of the watermelon roll from Friendlies. I think the seeds were made out of chocolate chips. I'll have to keep you posted should I stumble across anything! The orange and chocolate pairing is a favorite here in France. My mother always makes candied orange strips dipped in dark chocolate whenever we have friends over in the US...I could eat that combination all day long! Love your mini loaves! I love the combination of chocolate and orange, so this would be one for me. Chocolate and orange is a fabulous combination! This recipe sounds delicious, Grace! 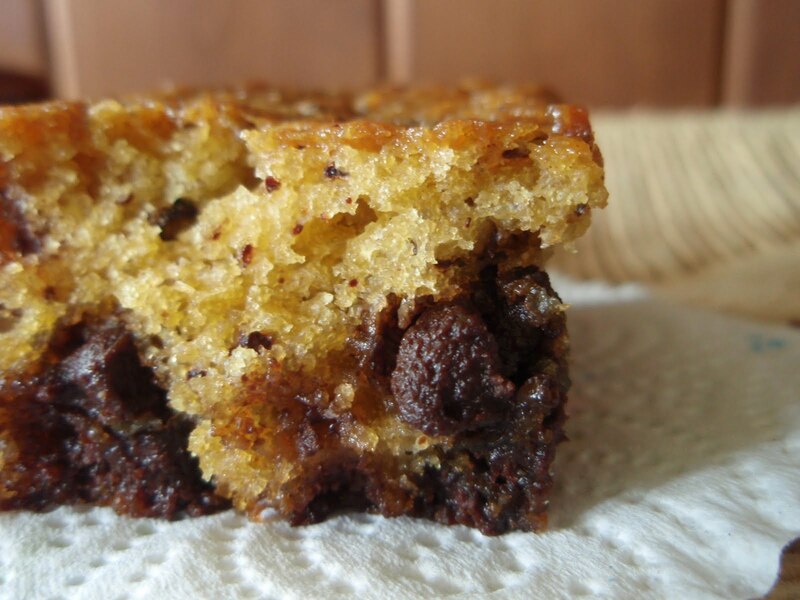 These loves look extra yummy Grace...the gooey chocolate chips combined with the tangy orange bread sounds wonderful. Another very tasty creation! Orange you glad.....cracks me up every time! Hehe your first line made me laugh! :P I must admit I'm not a huge chocolate and orange fan. But it does look good! I hadn't realised how hard it was to rhyme with orange :) But I love choc-orange combos, this one looks scrumptious! I've never had orange and chocolate together....have to give it a try! Ha! I always hated those chocolate orange truffles, too. But this sounds like a completely different animal. Must try it. Grace...I could only wonder...how many people enjoy all these yummy cakes you keep baking up! Chocolate and orange are a combo I personally use often especially when the oranges are in season. The depth of flavour is incredibly aromatic. Chocolate and orange are the perfect combo for a cake. YUM! I never thought about it before that the poor orange has no rhyming friends....but it does always say "orange you glad to see me!!" and it certainly looks like you were with that beautiful orange cake....it goes so well with chocolate too!! Great job! I love the chocolate and orange combo. I have to say that some chocolate and orange muffins I made are on of my favorite muffins. I bet yours were some tasty as well! Here's to the orange and chocolate duo. You're right, orange gets chipped a lot, but the flavors really do go well together. Your loaves look so tender and moist, my mouth is starting to water. Thanks for another awesome recipe! Chocolate and orange is a great combo, will be sure to try these yummy loaves! Good point, I guess I dont ever really cook with oranges in sweets. Nice recipe! How creative! I love the addition of orange! Definitely an overlooked fruit when it comes to baked goods.. Always the perfect combo and one that needs to be on my plate right now. You always have something wonderful going on, Grace! 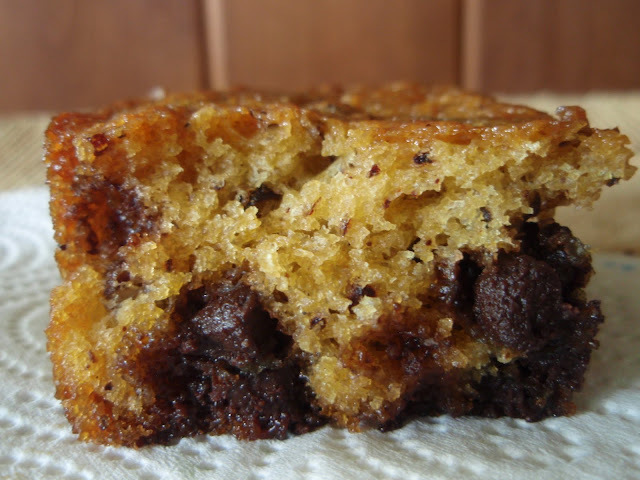 I love muffins and I love chocolate and orange together so this is a perfect recipe. A combo I don't think I've tried but it's now on the list! I'm not really a huge fan of orange and choc combo, the texture looks awesome though! I have yet to try the chocolate orange combo. Trying to imagine. I think it will be good cos I have eaten orange chocolate...very delicious. Love that close up pictures. Looks very tempting. Oh my gosh! I love citrus desserts, and even moreso when they're paired with chocolate. Talk about perfection! I have a lovely recipe for a chocolate orange bundt cake - I love the idea of a loaf though! An orange glaze on top of these would be magic! Mmm, chocolate and orange... I'm sure I have a recipe somewhere for orange choc chip muffins - must dig it out!! Orange and chocolate are one of my favorite combinations. Mmm chocolate and orange are delicious together! That photo should be illegal! wow! a match made in heaven - chocolate and orange and oh so gooey!! I have issues with fruit and chocolate paired together--but my husband would die for this. I thought of you the other day as I ordered my first ever shwarma wrap. Isn't that what you like? Or am I confused? :) At any rate, it was tasty!